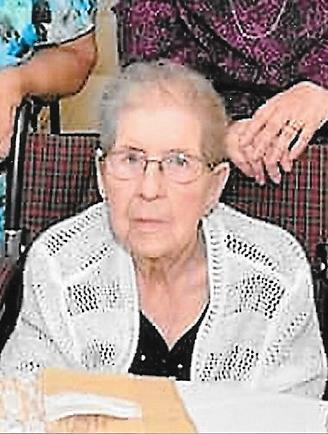 Obituary for Agnes Zurick | Thomas J. Gmiter Funeral Home, Inc.
Age 95, passed away on Monday, February 4, 2019. Of Bethel Park, formerly of the South Side. Wife of the late Andrew; mother of Helen (the late Edward) Walsh, Theresa (Leonard) Sokol, and the late Michael (survived by Mary) Zurick, and Richard Zurick; grandmother of Ray (Eileen), James, Lori, Craig, Nadine, Steven (Chandra), Thomas, Angie, and the late Andrew; great-grandmother of Brandon, John, Kara, Jason, Kelsie (Justin), Thomas, Cara, and Jaylyn; great-great-grandmother of Hunter, Landon, and Charlie. Friends received Thursday 2-4 and 6-8 PM in Thomas J. Gmiter Funeral Home, Inc. 2323 E. Carson St. where Service will be held Friday 10:00 AM.